Never expect loyalty from a person that can't give you honesty. Never trust someone who won't allow you to prove them wrong. In most cases, they already know they are. Don't trust anyone blindly. Most people you meet with are with you only for their own sake and interest. Never trust someone who will just get up and tell you another person's story or secrets, because they'll share yours just the same. Not every disappointment is a blessing. Some disappointments are lessons ...lessons on how not to trust people. 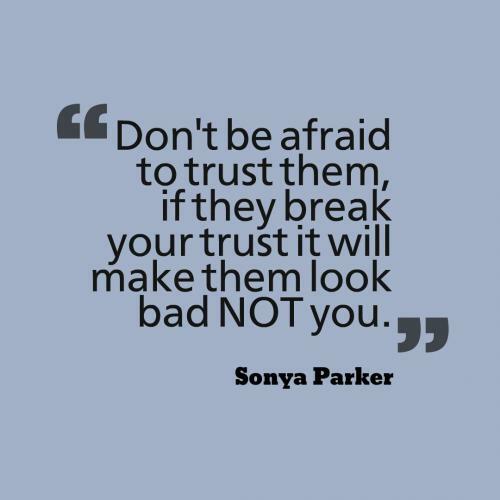 It's difficult to trust people who already show they don't trust you. 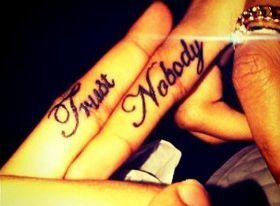 Trust is all about having immense faith in anyone. When you trust anyone with great belief, you feel, come what may your friend will always be there for you, stay loyal to you and never break your trust. 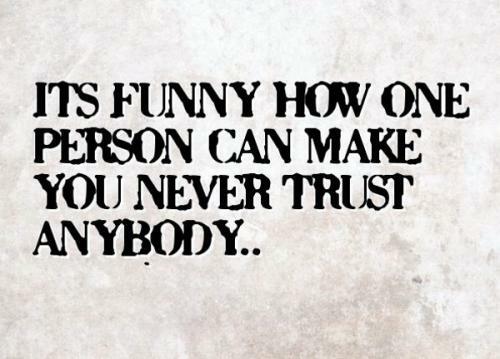 Some people are very sweet and trust others blindly. This trusting others blindly can prove to be extremely fatal for their cause. Peter Fonda had once remarked, “I don't trust anybody who didn't inhale.” One should never trust strangers and should shun from trusting anyone to a great extent. This world is a bad place where someone who pretends to be your friend may even end up back-stabbing you and turn out to be a foe. Strangers can never be trusted. Trust can lead to your doom. Such false impulses and hasty decisions that we make on the basis of our trust and faith in someone can lead to disaster and disappointment. In the words of Newt Gingrich, “You can't trust anybody with power.” This is certainly true because power easily corrupts and absolute power corrupts absolutely.